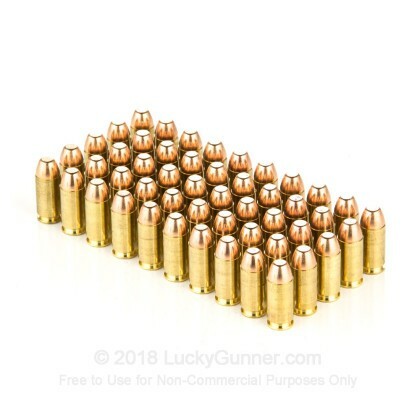 The ammo has been great and performs perfectly every round!!! Great price and quality!!! Thank you Lucky Gunner!!! 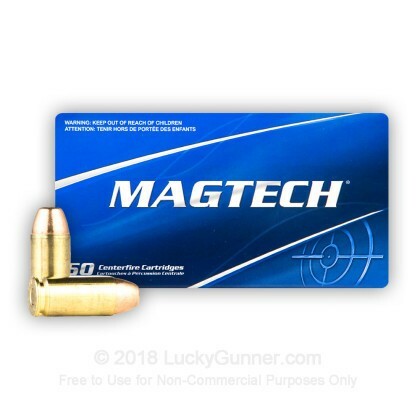 This is good practice/range ammo at a great price! Keep it coming, Lucky Gunner. Mahalo. Clean, accurate, and affordable. My G23 ate it up with no issues. Went through 300 rounds the other day. Everything cycled. Not too dirty. I have shot and reloaded 50 rounds twice. 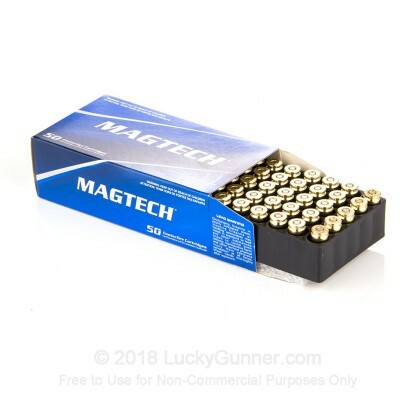 Good range ammo and quality cases. 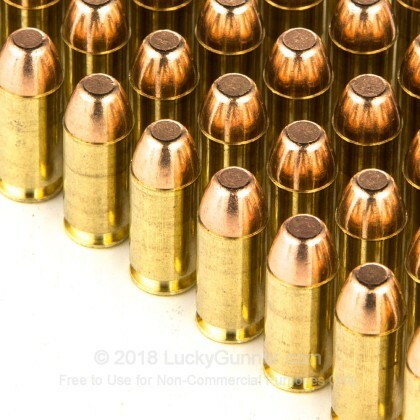 Have fired over 500 rounds of this ammo, and have no complaints, I have gotten very consistent and tight groups on the target. And would recommend this ammo for anyone that is serious about range training. I've put ~500 rounds of this through a Glock 17 with no issues what-so-ever. Great ammo. and the price is nice. better than Winchester white box and all that plinking ammo. Clean too. Placed my order on a Tuesday it was delivered on Friday morning. The ammo is great. I shoot a XD40sc and it shot fine. I wanted to try the 165 and couldn't notice a difference from the 180 grain. I will definitely buy from here again! 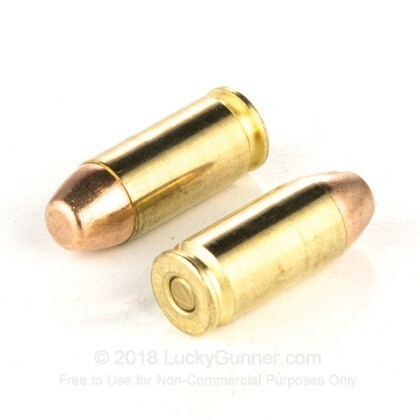 Q: Is this bullet drawn to a magnet? Sparked caused fire safety is my concern. A: Hello William, This Magtech ammunition does not contain any steel and will not be attracted to a magnet. 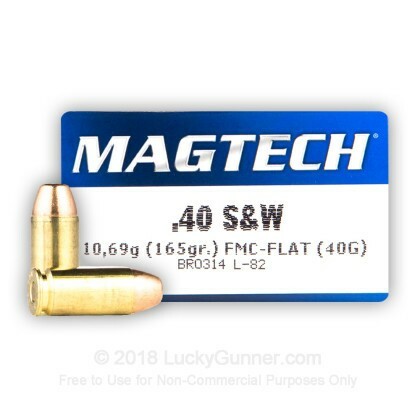 We also have this 40 S&W - 165 Grain FMJ - Flat Nose - Magtech - 50 Rounds ammo in stock in a smaller quantity.